I had another chance to explore some water from the list, with a less than ideal forecast… I headed east instead of west guessing I would have at least the morning to explore. 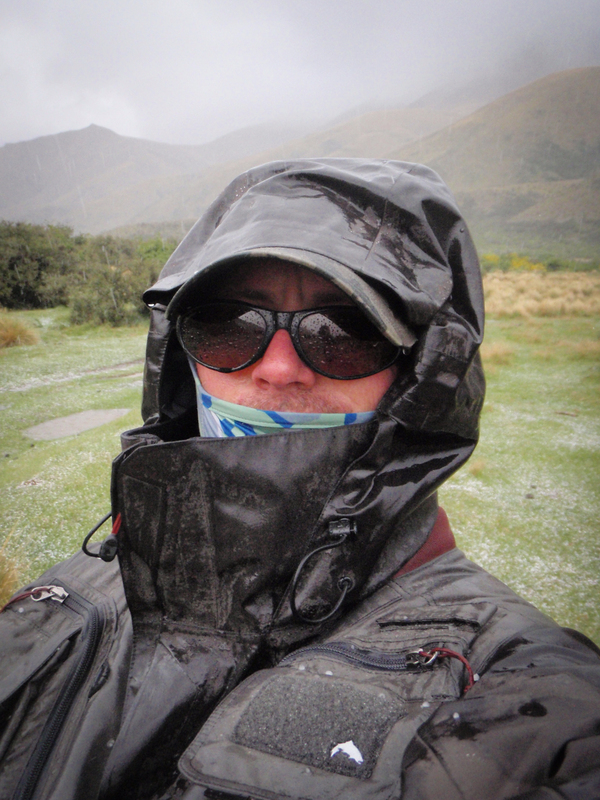 Good thing I packed the jacket is all I can say… I was on the water for less than an hour before the first rain hit. I walked and explored around 7-8 km of stream finding some great aerobatic rainbows willing to bite! The weather came and went all morning until early afternoon when the thunder clapped and hail smashed down! 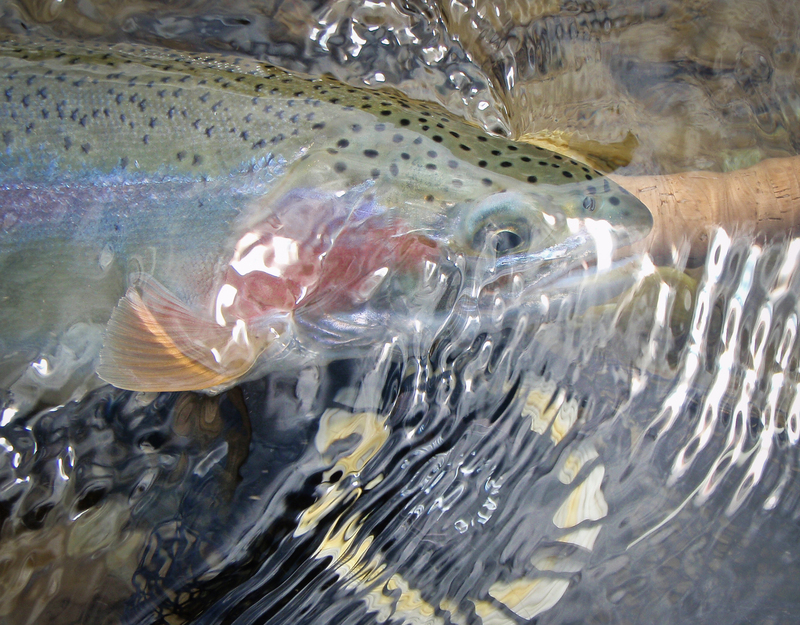 I had great success with fish eagerly eating my flies and only a few bust off while playing them heavy handed trying to keep them free from snags etc. The Next step in my evolution is an old one revisited… exploring new waters! I have always had a mental list of waters to explore and places to fish but it’s not been a priority of my fishing for a few years now. I have the bug again, to venture out to these places… get back country and explore. I was married with kids early on when I got into fly fishing so for me to take time out and travel away any distance to fish seemed selfish and an extra burden on my wife. Now the kids are much older and can look after them selves or even occasionally if they want to tag along on my trips, the freedom to venture forth is here, I just hope my body can keep up. Not all the waters on my list are the famous back country rivers everyone dreams of, they are on there but there is still a few wee poky streams I want to visit. Having a day off waiting for a digger on my building site, I chose one of those wee streams yesterday to fish. Picking where to start fishing on unfamiliar water is sometimes a mental block for me but this one was easy… it has 3 access points that I want to explore so I started my first venture on the bottom one. A healthy wee stream with an abundance of insect life, I had a wee play with a couple of macro shots while on the stream, might try the tripod and trigger release next time??? 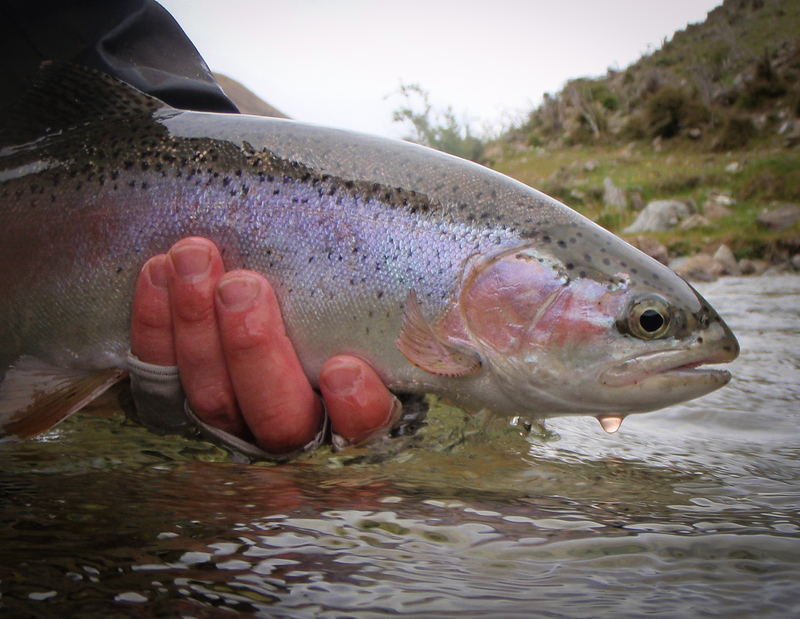 Plenty of caddis and mayflies meant plump trout, I wasn’t disappointed! With there being a little colour pushing down, the first few spotted sitting on the edge at the head of the pools were surprisingly easy to see. After hooking all four and only landing two of them, I was reasonably happy and wondered why it had taken me so long to finally explore this stream. 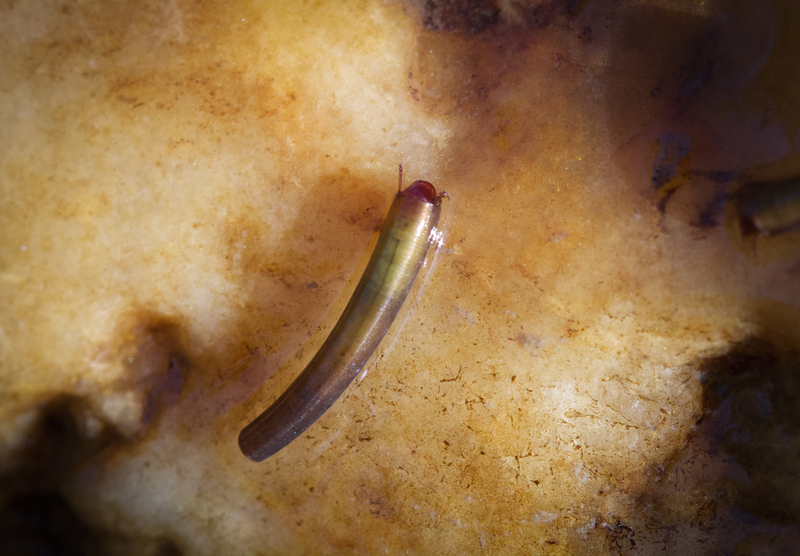 I didn’t see anything in the next few pools which surprised me until I finally decided the next pool had to have something in it, so I blind fished a pair of nymphs through the body of the pool. 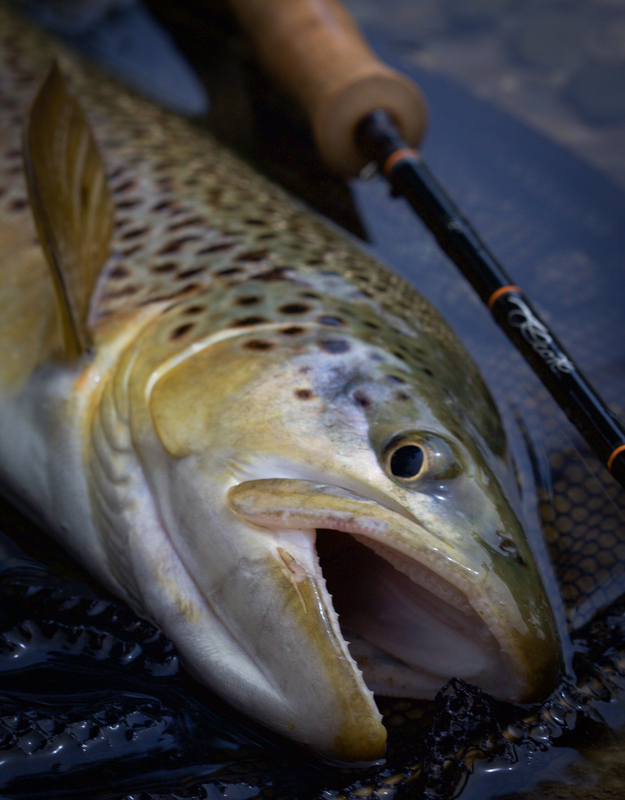 I watched as my indicator dipped as it drifted through the middle, I tightened into a good fish once more. I suspect nearly every pool held a fish but it didn’t mean they were out actively feeding or that I could spot them at the bottom of the pools were they seemed to be holding. Lesson learnt, I began stalking each pool carefully to follow up with a blind drift or two to make sure incase something was holding in the depths. After a couple of kilometres I passed the stream putting the colour in to find everything crystal clear above there so only needed to spot fish from there on. I think sometimes I trust myself to spot every fish even when I know where the fish should be holding and can’t see them, having a strong preference for sight fishing, I too easily walk past some good water and potential fish for the sake of not being bothered to throw a couple of blind casts through the likely lies. I’m not saying I wouldn’t have had an awesome day purely sight fishing but I did pick up 3-4 extra fish blind nymphing. 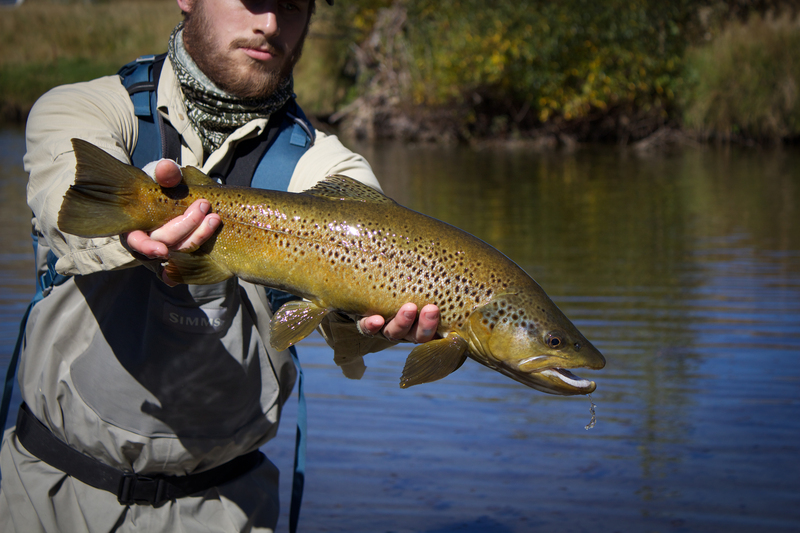 It was a fantastic trip, encouraging me to return and fish the other sections but not only that, but to also continue the task of ticking off the list of rivers to explore. I find myself already adding new waters to the list, I don’t think I will every fully complete it, only expand and explore! 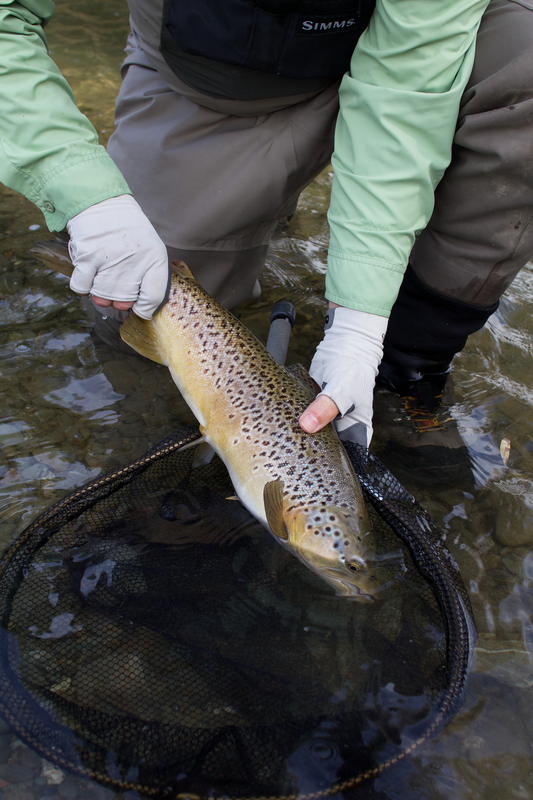 Two names in New Zealand fly fishing that hold a lot of history, knowledge and experience are Peter Carty & Tony Entwistle of the Murchison and Nelson areas. I have know Pete for a couple of years now, meeting him at Trout Cottage in Lumsden, being a huge fan of his fly tying, I was a little star struck with the thought of meeting him. 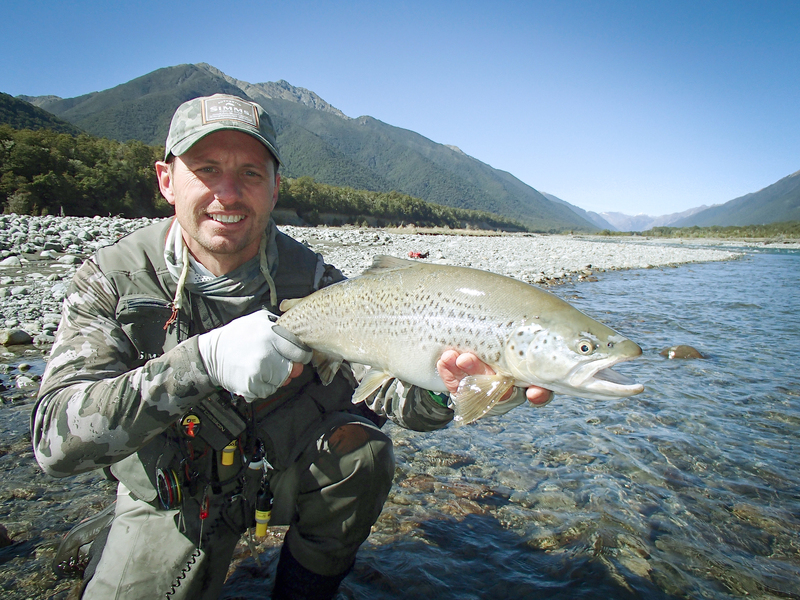 Like many people I hold high regard for in NZ fly fishing, the legends are usually honest down to earth types, that is certainly true for Pete, Tony was just the same! I won a prize for a days guided fishing with Tony Entwistle, the opportunity to meet another Legend! After plans for the end of April were washed out, we made a new plan for labour weekend instead, I had asked to fish with Tony rather than be guided a full day. I contacted Pete to say I was coming through so after back and forth contact between the three of us dates were booked and a plan hatched. Good mate Quentin was coming along for the road trip to Murchison where we would stay at Pete’s and meet Tony for a couple of days on the rivers. 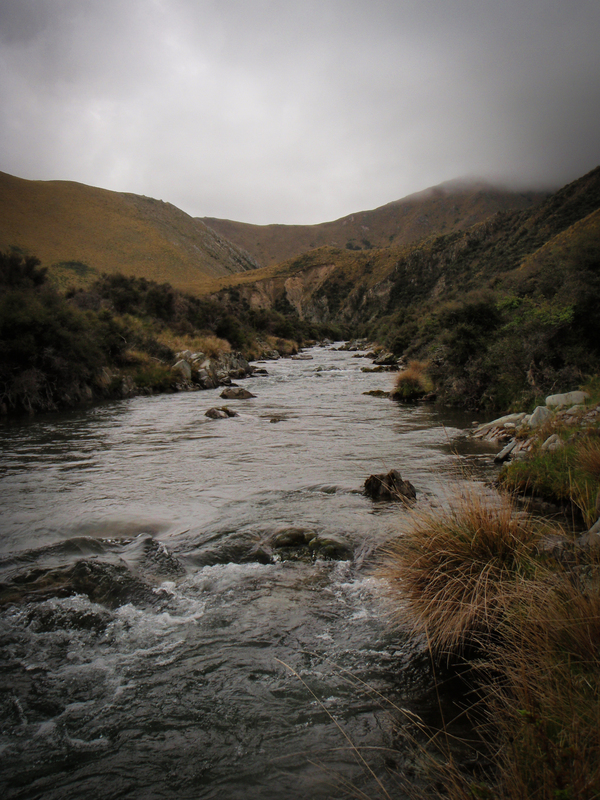 750 km to and 750 km back seems like a long drive for a couple of days fishing but after driving through the Lewis pass, it seemed every river we crossed was in the backcountry and begging to be fished… the drive was worth it! We stayed in Murchison at Pete’s place, the stories and banter in the evenings is part of what makes a trip a great one! We meet up with Tony the next morning, admittedly a little start struck once more… hand shakes and introductions over, it didn’t take long to realise, just like Pete, he’s just another one of the genuine good blokes! Just driving to the river is a great experience, hearing details of different rivers you cross and stories of their experiences through the years. Time on the river was no different, the light hearted joking and banter with a touch of a competitive edge thrown in made for a sensational day on the river. Our first day was the best of the expected weather, a beautiful river valley to walk and fish in the first pool, what more could you want. We split into pairs to take a bank each, generously both Pete and Tony gave us first shots as guests and took some convincing to line their rods up eventually. Quentin and Pete got first on the board with a fish on his first cast, they certainly made sure we knew all about it. The competitive pressure was on and spooking my first fish and getting a gentle reminder by Tony slapping the peak of my cap made me even more nervous! Fortunately there were more fish lined up the edge of the pool… careful stalking and good presentation soon had a solid hook up. 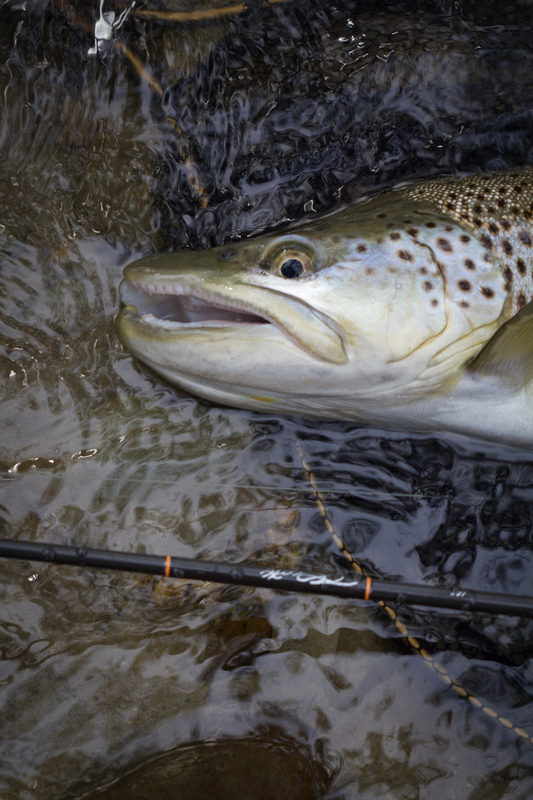 One seriously fit fish made the net and the trip was made, it didn’t matter what happened after that… it was all a bonus from then on! 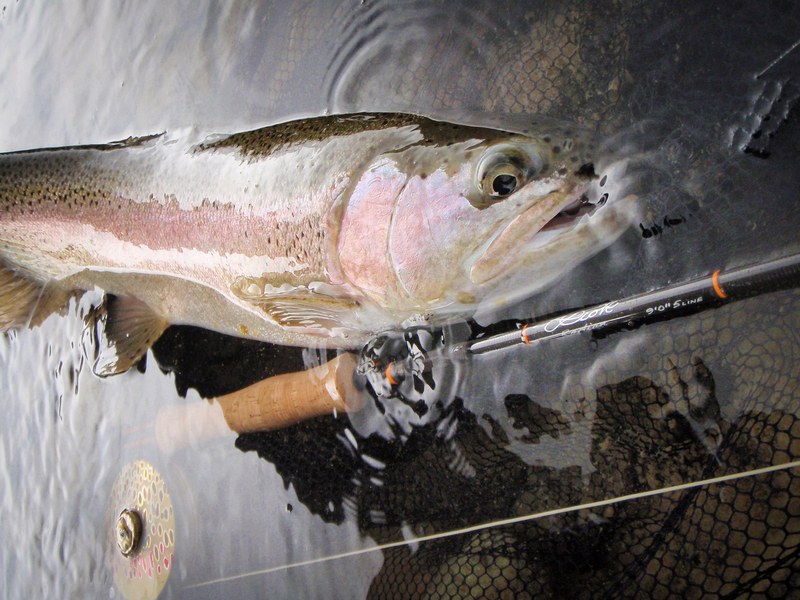 It’s was great spending time with Tony on the river, seeing another anglers approach to a fishery he know’s so well, we chatted about his thought process in his approach… changing flies in colour, size and weight to achieve the results. 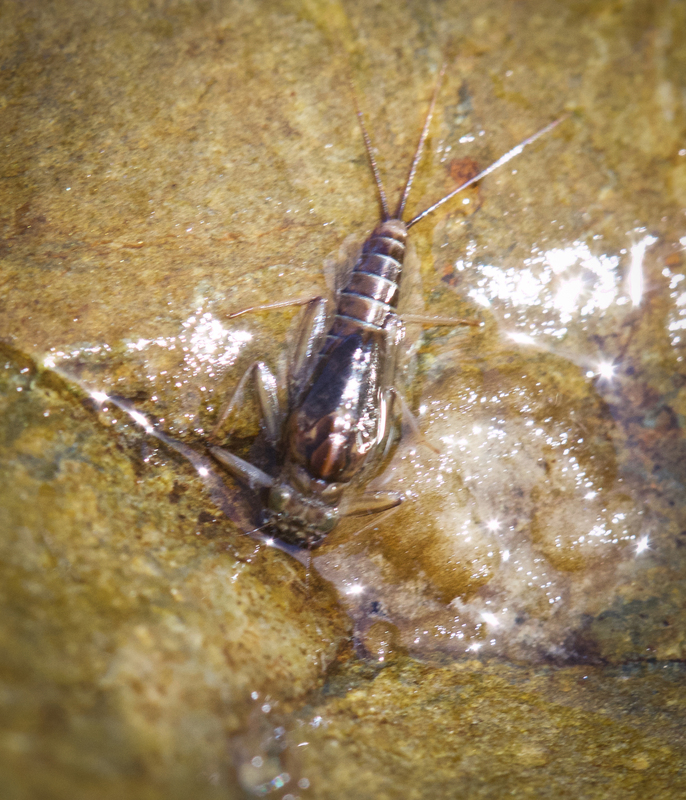 This trip was the first time I have really used big green stonefly nymphs and one of my highlights was using one of Pete’s green stoneflies he tied to catch a fish with him on the river. The trip had so many highlights it’s hard to write them in this blog, I could write a dozen pages and it would probably just be babble to everyone else and parts would only make sense if you where on the river with us. I have to thank both Pete and Tony for such a sensational time on and off the water, I plan a return trip next time in summer I think. The foam lines of those bush clad rivers are screaming terrestrials! The part of the trip that stands out the most was watching and listening to two such experienced guides, gathering as many tips for guiding as I could, I can only hope to gather as much experience as them in the years to come. 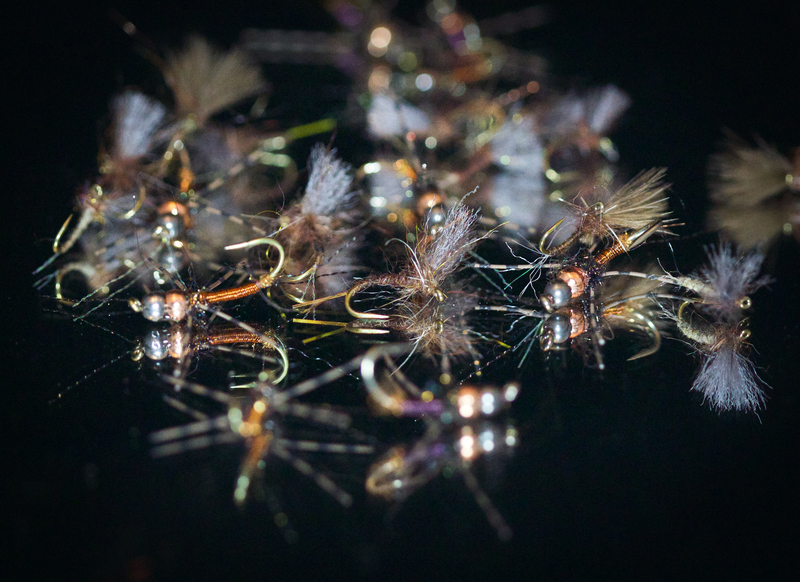 Sat at the bench today and tied a few flies for opening week here in New Zealand… some I hope to use and other’s I know I may need to use after previous seasons experience! 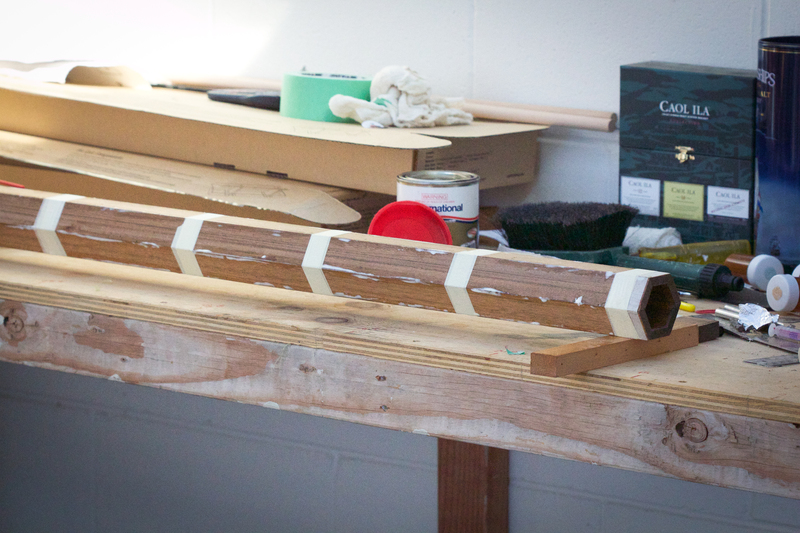 I have made the next steps for the wooden rod tube… glued up, sanded and sealed… next is to cap the end with a thin hardwood ply, sand and seal them to form a complete sealed tube. Once dry and ready I will then cut about an inch & half down from one end to fit a wee brass hinge and probably a small magnet or maybe some sort of leather closer??? Plan is to try and have this done this week ready for traveling to Southland for opening, something to protect my Bamboo rod in transit to a special wee stream I have in mind! Check it and let me know how it looks! Roll on opening… I have a few days planned in Southland catching up with a couple of mates, will be nice to have a break away!